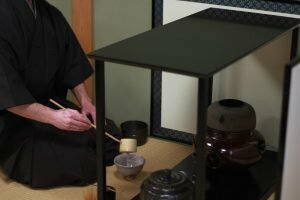 What is the purpose of the Japanese tea ceremony? 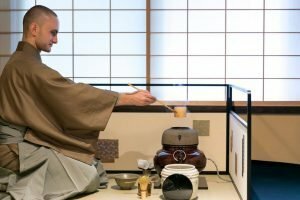 What is the purpose of the Japanese tea ceremony? This is a question that has puzzled me for quite some time now. And I still feel that I am insufficiently able to form a correct and concise answer to it yet. However, thanks to recent encounters and the pointed questions of many guests to our tea activities in Kyoto, I caught a glimpse of what could lead to a possible answer. I would like to use the space here to align and introduce some of my thoughts. Some of the questions I received were voiced in the following ways. “On what kind of occasions is the ceremony usually conducted?” or “Who is it conducted for?” “What purpose does the ceremony serve in a contemporary setting?”, etc. I realised that for most westerners, the word “ceremony” is rather deceiving. The most conventional understanding of it is as “a formal act or ritual; often set by custom or tradition; performed in observation of an event or anniversary”. The first implication here is that the image of religious rituals, offerings, etc is strong. Secondly, a ceremony is performed in order to gain something in return or to serve a purpose. The perception that ceremonies are usually conducted to celebrate occasions or commemorate persons, appears to be how it is most commonly understood. However, with the tea ceremony this is not necessarily what we intend. Although it is true that the set of motions to prepare the tea are formalised, they are not necessarily sacred or ritual in any sense. Nor do they necessarily observe or celebrate an event or occasion. Nor do we aim for a gain. 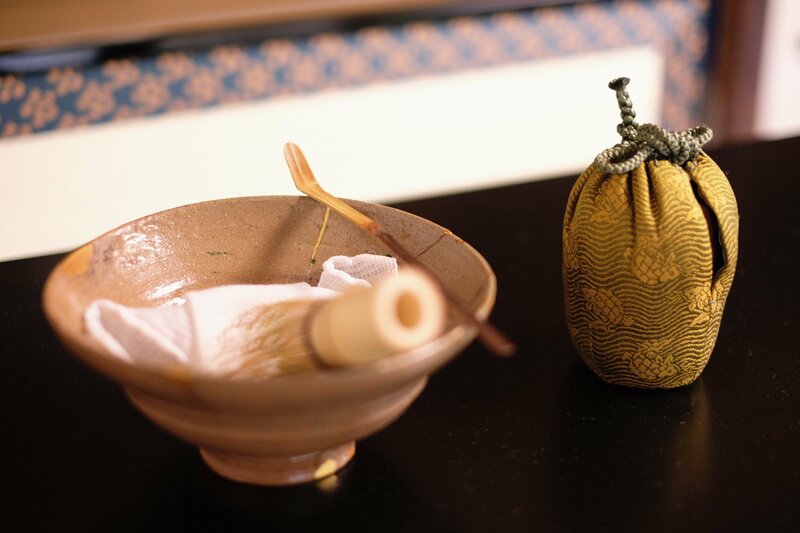 The tea ceremony can be conducted at any time and is mostly hosted when receiving guests. In essence, the goal of the ceremony is to offer a delicious bowl of tea to the guests. In this process, the set of motions have been devised to be thoughtful of everything. This helps to most ergonomically prepare a delicious bowl of tea. From this point of view, I feel, that the tea ceremony should rather be perceived as a form of art. Art in which the practitioner perfect himself and his movements, in order to entertain their guests with the most aesthetic and meaningful of gestures. The activity of learning and conducting the tea ceremony can be a highly meditative activity, which aids with further self-cultivation. Perceiving the ceremony in this way, we better call the tea ceremony a “praxis”, rather than a “ceremony”. A “praxis”, is a “practice, as distinguished from theory; an application or use, as of knowledge or skills” or “a convention, habit or custom”. This is closer to my perception of the tea ceremony; A set of formal, yet efficient, conventions for the preparation of tea that are memorised and practiced in order to become habitual. Doing so, the practitioner becomes able to entertain his guests with tea in a natural, yet courteous fashion. 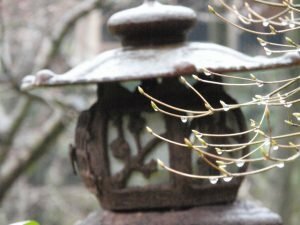 what is the purpose of the Japanese tea ceremony for me? The praxis of tea is, for me, essentially similar to the contemporary offering of a glass of water or a cup of coffee to a visitor. The difference is that it is not contemporary and overflows with conventions and aesthetics, which we perceive as old or traditional. Unfortunately this also implies that the tea ceremony has no real function in a contemporary setting, other than the nostalgia of partaking in something that constitutes the history, tradition and conventional image of Japan. Therefore, when you ask me what we do the ceremony for, I have no other way than to answer that we do it as an act of hospitality. The praxis also puts the mind to ease and can be perceived as a form of meditation and relaxation. From this stance, I favour the wording “way of tea”. This points more to the lifestyle and the philosophy, which in many ways is closely related to Zen buddhism, and is embodied in the concept of wabi-sabi. Practicing the tea ceremony implies practicing the mannerism that goes with it. Consequently you train to become able to present yourself in alignment with those manners. The more practice one puts into the praxis of tea, the more his/her actions and movements become habitual. And as a result, these are thus also reflected in everyday life. In this sense, the praxis of tea is also the education of etiquette, manners and courteousness. Traits that lead to the cultivation of a well mannered person. 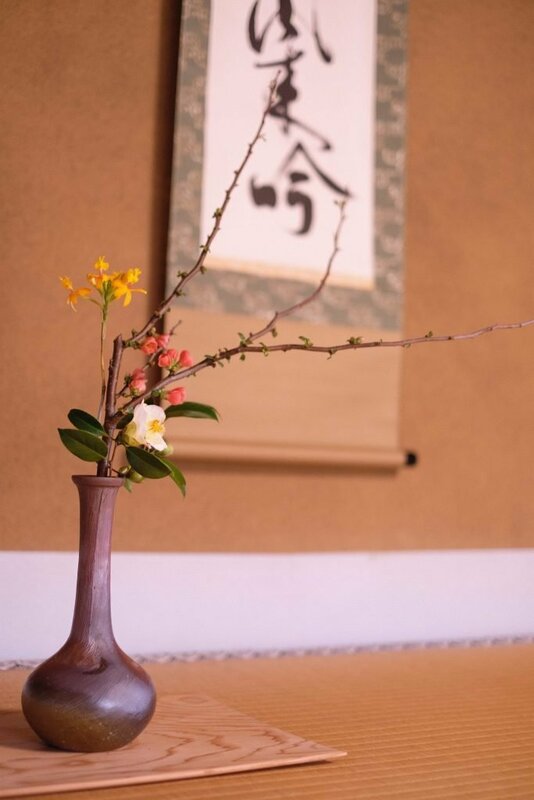 What came to mind when you first heard about the tea ceremony? Was it some kind of ritual, conducted at celebratory occasions? 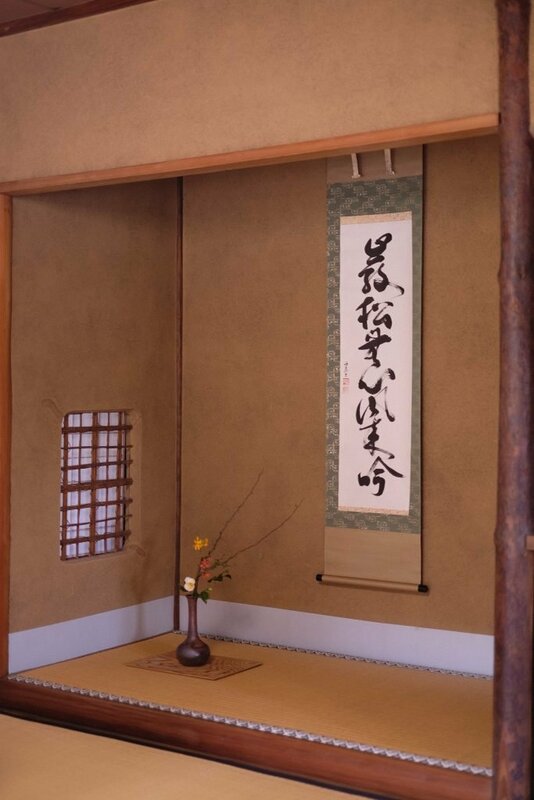 What is the purpose of the Japanese tea ceremony to you ? Was it the meditational aspect that came to mind? Or was it something completely different? Feel free to let me know how you perceive the tea ceremony. Was your perception similar or different to the view given above? Let’s continue the dialogue in the comment section below. You may also leave a comment or reaction at our Facebook page here.